When you are faced with smoke and fire damage, it is difficult to wrap your head around where to begin with restoration to your property. Whether a fire is man-made or natural, the devastating effects of this tragedy can have a lasting impact on your property and your health. Once you have processed everything that is going through your mind, it is important to act fast and hire a professional to clean your smoke damage. 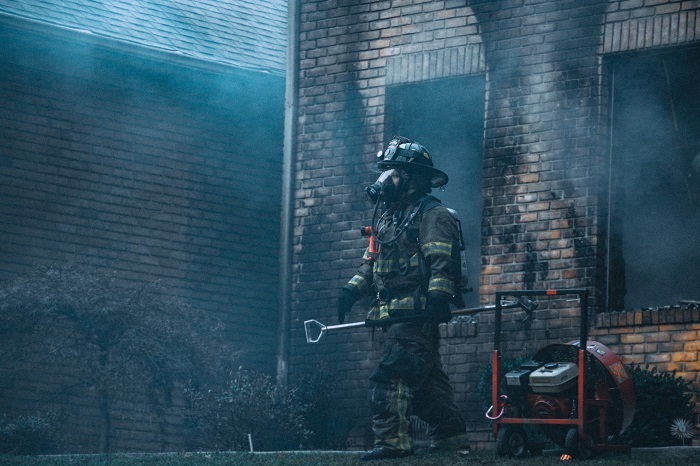 Although it might seem like a good idea to handle smoke and fire damage yourself, there are many reasons why you should hire a professional to do the job. Smoke damage is the residue that adheres to your furniture after a fire is put out. In addition to smoke damage, ash from smoke can discolor many surfaces in your home or business, including wood, glass, plastic, and metal. Most people don’t understand the various effects smoke damage can have on your property and your health. In many cases, smoke damage can be more destructive than the actual fire. And, if it is not handled the right way, smoke damage can continue to harm your structure for years to come. Smoke damage can lead to corrosion, discoloration, and hard to handle odors. Even once the fire has been put out, you can see new effects of smoke damage weeks, months, even years later, if it is not corrected. Wooden surfaces turn black, plastic and fiberglass turn yellow, and metals are noticeably tarnished and corroded. And, because smoke residue can contain carcinogens that deteriorate lung health when breathed in, it is important to talk to a professional as soon as it is safe to enter your property. Professionals who are trained and certified in cleaning smoke damage know the proper procedure of how to attack the problem. They also have the right equipment needed to handle the issue in a safe manner. The first step to repair smoke damage is to have a proper inspection. A professional will identify what can be salvaged and what was destroyed in the fire. While black smoke will adhere to your furniture, there are many things that smoke damage professionals are able to identify that are not noticeable to the naked eye. Once a professional inspects your property, they will identify any smoke and ash that are active. This is the first step in the return of your property to a safe and functional state. As time goes on, smoke damage will be more difficult to restore. And, since it can get worse with time, it is important to act immediately when you know your property has been affected by smoke damage. Not only will this help keep you safe, it will reduce the costs of restoration in the long run. Your professional will also identify the source of the smoke odor and use a specialized odor remover to eliminate the problem. Industrial-grade cleaning supplies are much more effective in treating damage. If you are the victim of a fire, we understand that this is a devastating time for you. When you hire a professional to handle smoke damage, you will have peace of mind in knowing that your damage will be identified and corrected. Professional smoke damage restoration companies know where to look for damage, how to spot potential issues, and are equipped with the right training to eliminate odor.